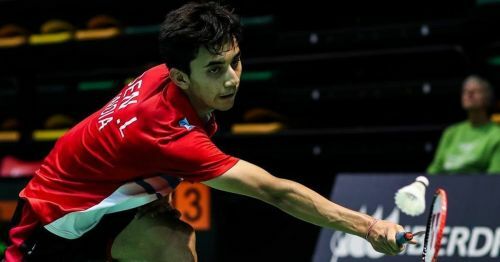 India’s biggest title hope, Lakshya Sen made a winning start to his campaign to enter the third round of the BWF World Junior Championship 2018 in Markham, Canada. The fourth seed needed only 24 minutes to dispatch Mexico’s Armando Gaitan 21-13, 21-9. The 17-year-old is looking to add a maiden World Junior Championships crown to the Asian Championships title and the Youth Olympics silver medal that he achieved earlier in the year. Among the other Indians in the men’s singles U-19 draw, Priyanshu Rajawat had a great result as he upset the 15th seed Jia Wei Joel Koh 21-18, 21-8. Joining them in the Round of 32 were Alap Mishra and Kiran George. While Mishra got the better of Denmark’s Magnus Johannesen 21-19, 21-19 in a tight contest, George had an easier time in his 21-18, 21-14 win over Andrej Antoska of Slovakia. Both the Indian boys need to be at their flawless best in the next round for they face formidable opponents. George takes on the second seed Ikhsan Leonardo Imanuel Rumbay and Mishra meets the Youth Olympic gold medallist and third seed Li Shifeng. In women’s singles, eighth seed Purva Barve made a fine start to her title challenge with a 21-17, 21-14 win over Thailand’s Pornpicha Choeikeewong. Barve is now the only Indian remaining in this section and she next faces Malaysia’s Eoon Qi Xuan for a place in the pre-quarter-finals. Earlier, Pullela Gopichand’s 15-year-old daughter, Gayatri crashed out 21-15, 11-21, 19-21 to China’s Han Qianxi in a nail-biting contest. India had good results in men’s doubles as three pairs advanced to the third round. Fifth seeds Krishna Prasad Garaga and Dhruv Kapila pummelled Andrew Choi and Victor Lu 21-8, 21-9 while 12th seeds Vishnu Vardhan Goud Panjala and Srikrishna Sai Kumar Podile beat Marc Cardona and Miguel San Luis 21-13, 21-13. The Manipuri pair of Manjit Singh Khwairakpam and Dingku Singh Konthoujam too prevailed over Andrej Antoska and Jakub Horak 21-14, 21-8. In women’s doubles, Aditi Bhatt-Tanisha Crasto and Sahithi Bandi-Thanushree Ramesh made it to the third round.